This time three years ago most of us had never heard the term 'Brexit'. Now we use that ugly little word like we draw oxygen, giving us another indicator of what is at stake for this country generally, and in particular for Irish farming and agribusiness. And you can add a further list of nasty jargon phrases which din our ears on a regular basis. For one of the latest, try 'managed no-deal Brexit' - to which we will shortly return. After the weekend's speed-of-light endorsement by an EU leaders' summit of the UK draft Brexit deal, all eyes are now firmly focused on Westminster, whose 650 MPs must endorse it by majority vote. 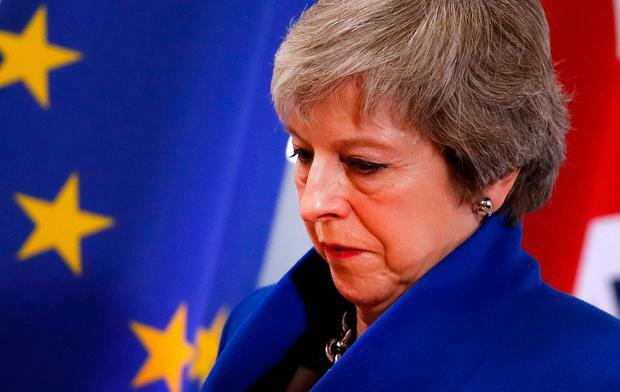 British Prime Minister Theresa May has, at kindest estimate, a very slim chance of piloting this deal through her parliament, but she has embarked on an impressive no-holds-barred effort. Things will build over the coming weeks, with the fateful vote pencilled in for tomorrow fortnight, December 12. Mrs May is due back in Brussels the very next day for a scheduled EU leaders' summit. In summary, Mrs May's abysmal figures look like this: she needs 320 MPs to be sure of winning, though she might fluke a cliff-hanger with a slightly smaller line-up, depending on the vagaries of Westminster life. Up to 90 of her own Conservative Party's 315 MPs have publicly condemned the deal. That does not mean they will all vote against, but if even a fraction of them do so, she will lose. The Prime Minister has already lost the support of the North's Democratic Unionist Party's 10 MPs who were propping up her minority government. They have, astonishingly, defied their farmer supporters in the Ulster Farmers' Union, who could live with Mrs May's Brexit compromise. That raises questions about the kind of political punch farmers on the other side of the border can pack. But that's also another day's work. Mrs May can expect some defectors from among Labour's 257 MPs, who are being told by their party leader, Jeremy Corbyn, to vote No. As things stand she cannot expect anything from the 12 Liberal Democrats or the Scottish National Party's 35 MPs. Strangely, while both the North of Ireland and Gibraltar get special Brexit treatment, Scotland gets none - and that's the rub. What happens if, as expected, Theresa May fails? There are four main theories, which are really just posh guesswork: a new Brexit-themed general election; an unlikely second Brexit referendum; an even more unlikely EU-UK Brexit deal re-negotation; or a no-deal Brexit. This last one is Irish farmers' and food processors' worst nightmare. But it brings us to the new buzzword being thrown around among ultra-Brexiteers in Westminster since the weekend: 'a managed no-deal Brexit'. It being talked about again in Westminster by one of the more strident Leave campaigners, Andrea Ledsom. She is the one who made a bad stab at standing against Mrs May for the Conservative Party leadership after the Brexit referendum shock result in June 2016. The thinking of people like that is that the most important thing of all is for the UK to leave the EU as scheduled on March 29. Thereafter many other details can be worked out once this key prize is landed. The even more dangerous part of the theory is that the EU cannot afford to allow that to happen, as it would cause havoc across the bloc's wider economy. The assumption, therefore, is that Brussels can be coerced into breaking the fall with some impromptu trade arrangements. It really shows how little Brexiteers know.